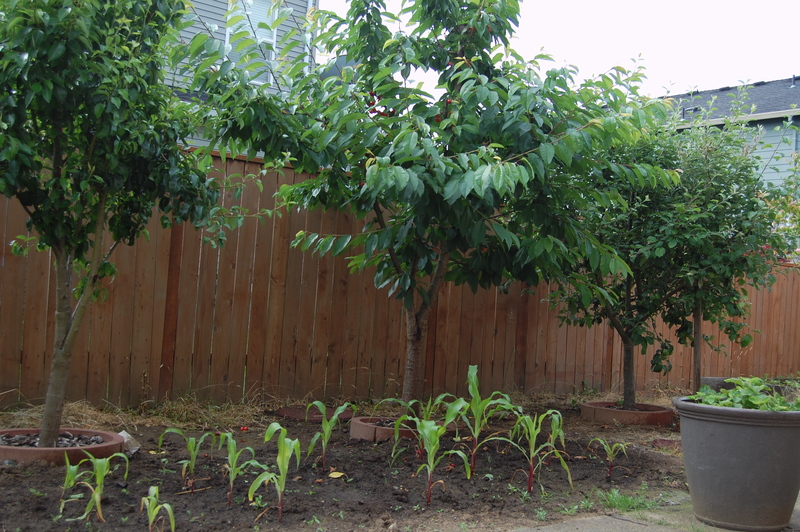 pear tree (no fruit this year), cherry tree, apple tree, and a planter of strawberries. This is a bit of a relaxing view. Sitting on our porch step… listening for birds. Our corn is progressing nicely, even through some recently crazy downpours! 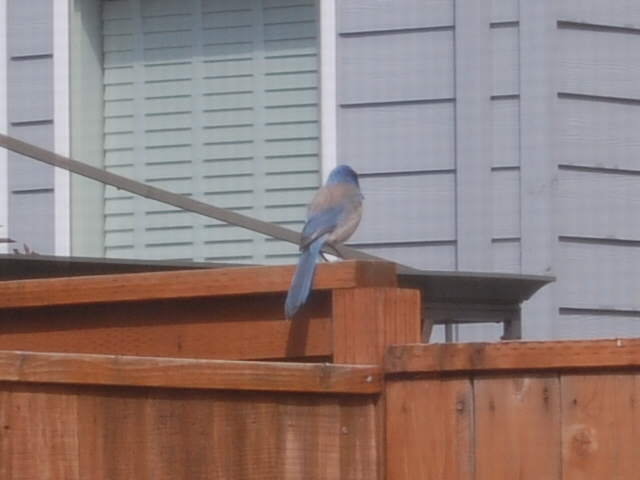 Why are birds so hard to capture in a photo? Just wondering…. 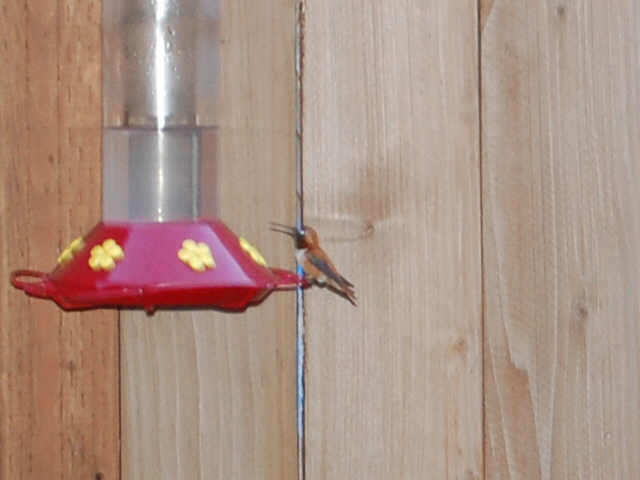 The hummingbird mocked me. Every time I picked up the camera it “floated” in our apricot tree to be hidden but still heard. 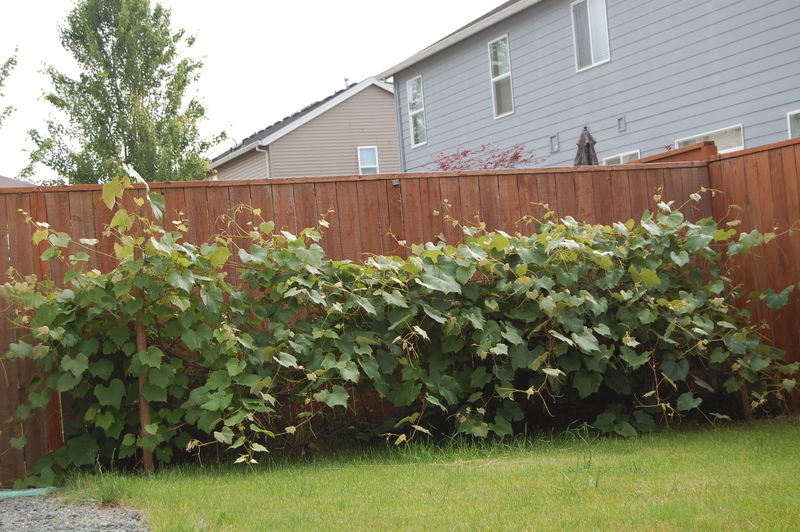 The grape vine seems to be doing well. Not ever quite sure how to prune these babies? So what does one do for a backyard nature hour? and be in awe of God’s creation. It stirs my heart and draws me to pray. I find birds most fascinating. We don’t always *see* them, but we most definitely hear them. Often chattering amongst themselves as if we are eavesdropping. 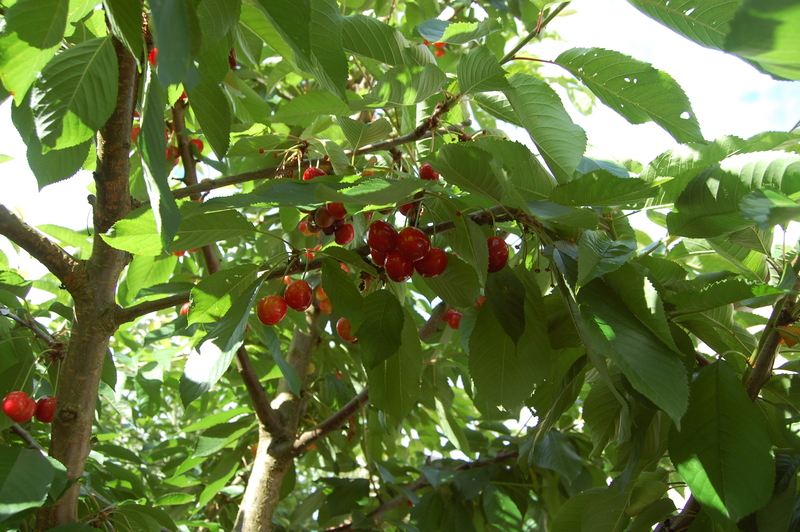 cherries and strawberries are abundant right now. Apricots, apples, & raspberries are still in the works. Next is our garden boxes. 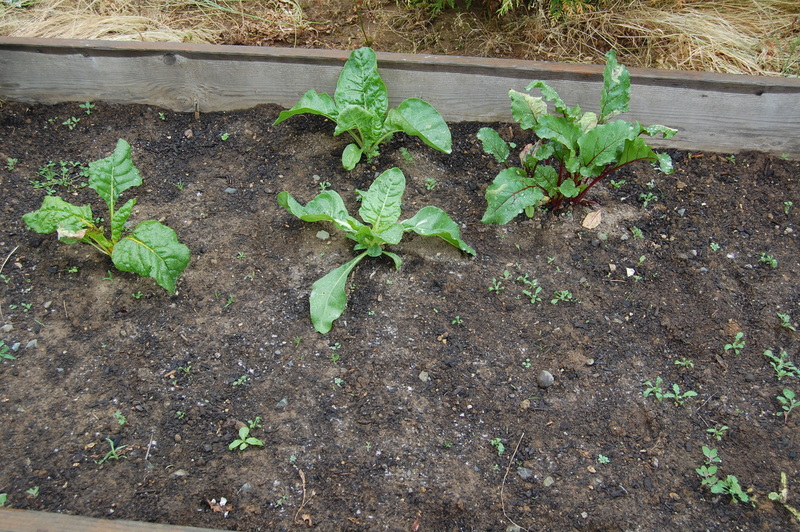 We planted two rows of rainbow chard and got 3 plants. We planted 4 rows of carrots and have yet to see anything! So much for our flourishing garden, lol. 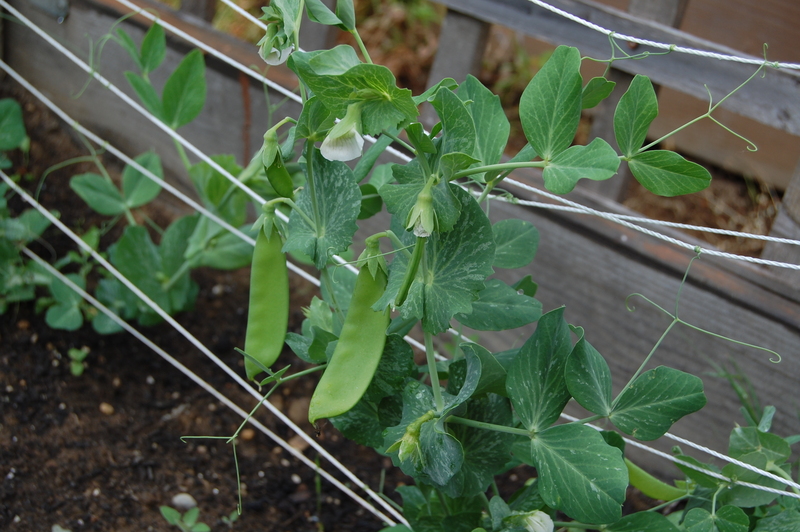 The sugar snap peas are small but still productive. The Potatoes are my favorite by far. 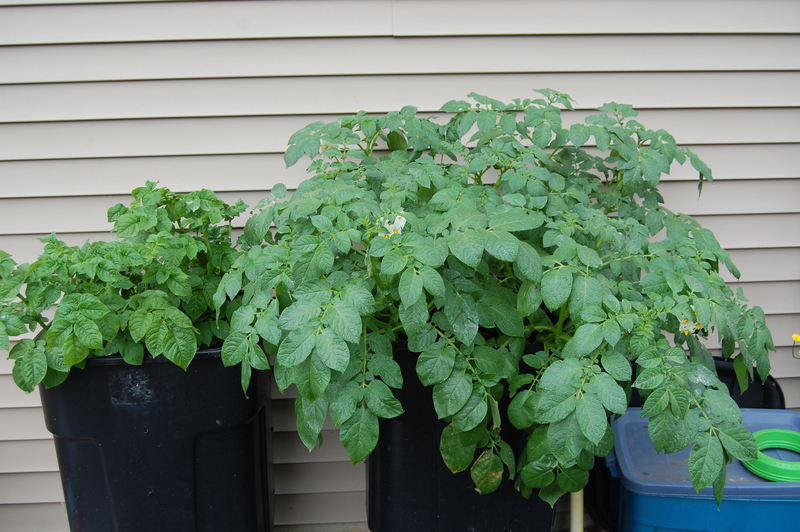 We are growing them in a garbage can. It has been fun to actually see the growth. that is until it is harvest season! Who knows what we will find in there!? we water everything as needed. Followed by some yard work. A quick mow of our 6′ by 12′ grass patch. Weed the gravel (half our backyard is gravel), and the garden boxes, and the dirt patches that the garden boxes sit in. Done on a weekday basis, we are keeping up nicely. and is the support behind our attempts at this all. He knows how to prune, de-bug, and nurture our crops best! How do you all get your yard work done? Is it avoided? rushed? or embraced? Oh. It all sounds wonderful. And now I feel guilty about not having a garden. At least I support the Farmer’s Market!